Tucson, AZ, WPH Press, 1/22/18– WPH Outdoor hosted its first event of 2018 in the middle of January, with WPH Outdoor teaming with Castle Hill Handball to host the Men’s and Women’s 1-Wall Florida Cup. 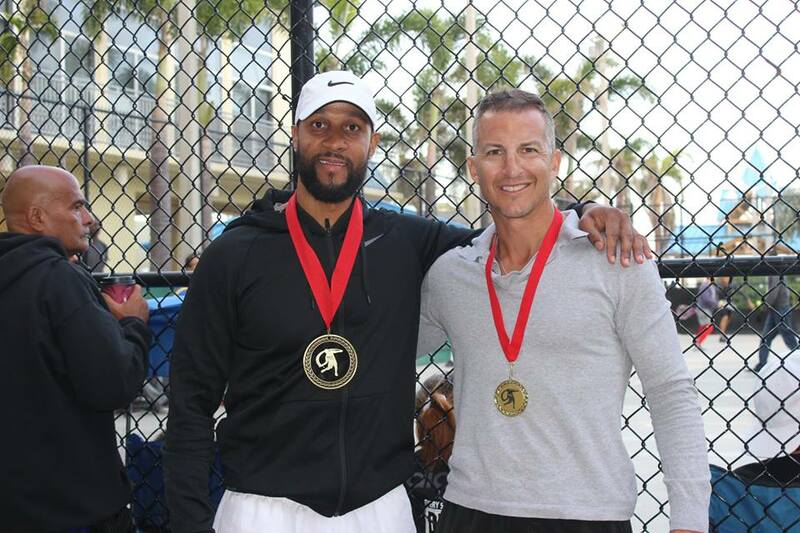 Carlin Rosa slammed the Small Ball singles and doubles, earning the WPH Outdoor #1 ranking at 34, the oldest men’s WPH Outdoor #1 in history. Danielle Daskalakis became the second player in WPH Outdoor history to win two pro singles titles in the same event (T. Gonzalez), winning the Small Ball singles and Big Ball singles, snatching the Women’s WPH Outdoor #1 ranking for the first time in the process. 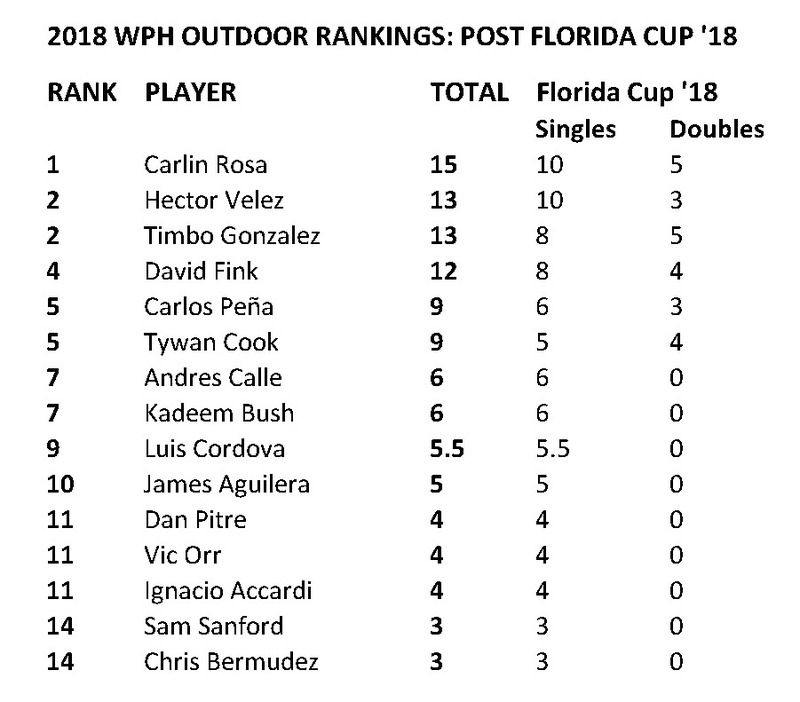 Hector Velez won his first WPH Outdoor pro singles and debuted at #3, while Race 4 Eight stars David Fink and Luis Cordova appeared in the WPH Outdoor top 10 for the first time. See all of the men’s and women’s WPH Outdoor rankings post Florida Cup below.